One of our main aims when developing Downtime Monkey is to make the user experience outstanding. With that in mind we've rolled out an improvement to the user interface that enables you to view the current status of all your websites at a glance. 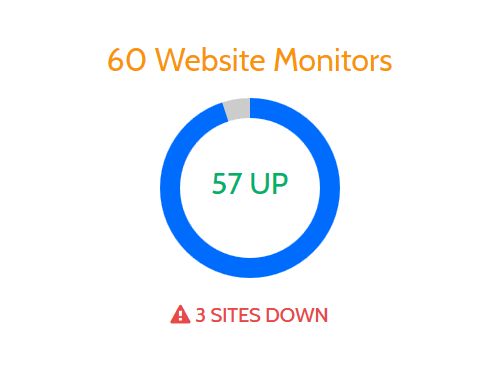 Every website monitor is still listed individually. Individual monitors now appear just below the 'overview box' and can be easily scrolled through. 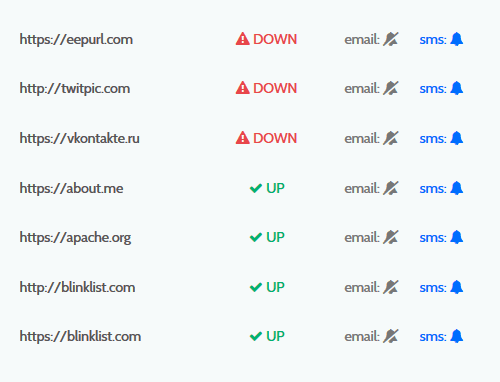 These changes should benefit users who monitor lots of websites because they can quickly find any websites that are down without having to scroll through a long list of monitors. Since Free Plan users can monitor up to 60 websites, Pro Plan users can monitor up to 1000 sites and Enterprise users have unlimited monitors, this could benefit everyone and we've rolled it out across the board. To check out the new user experience simply sign up, add some websites to monitor and view your monitors. It takes less than 2 minutes!